Christopher Sanetti is a partner in the Hartford office of Lewis Brisbois and a member of the General Liability Practice. Mr. Sanetti handles a variety of cases involving product liability, toxic tort/asbestos exposure, premises liability/slip and fall, and other issues for a number of the firm’s national and regional clients, including manufacturers, distributors, retailers, contractors, and employers in the chemical, food, insulation, software, fenestration, and adhesive industries. In that capacity, he helps clients protect their business interests by bringing disputes to an efficient resolution, often without a trial. Since joining Lewis Brisbois Bisgaard & Smith LLP in 2013, Mr. Sanetti has served as local counsel for a number of the firm’s clients. In that capacity, he has successfully resolved numerous cases via summary judgment or voluntary dismissal, negotiated various settlements, conducted discovery and motion practice, and assisted with a three-week jury trial that went to verdict in Massachusetts Superior Court. Prior to joining Lewis Brisbois he worked for 2 years at a large international firm, where he concentrated his practice primarily on product liability defense, representing several equipment manufacturers and contractors in asbestos-related cases. In that capacity, he obtained a dismissal on behalf of a company that was being sued by the son of a former employee. Both the employee and son had died from mesothelioma and the plaintiff’s final demand was over $500k. Prior to that, Mr. Sanetti worked at a respected litigation boutique in New Haven, Connecticut, where he represented individuals in a variety of civil and criminal cases. 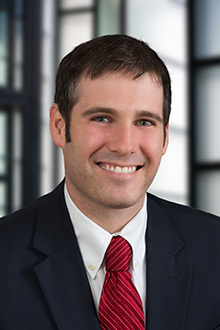 Previously, Mr. Sanetti served as a summer associate, law clerk, and associate at a general practice firm in Hartford, Connecticut. While in law school, Mr. Sanetti interned in the chambers of Judge Alfred Covello of the Federal Court for the District of Connecticut and Judge Michael Sheldon of the Connecticut Superior Court, prior to his appointment to the Connecticut Appellate Court. Mr. Sanetti also served as President of the Mock Trial Society, Assistant Managing Editor of the Connecticut Insurance Law Journal, and a Member of the Connecticut Moot Court Board. Prior to law school, Mr. Sanetti was a dedicated public high school teacher, union president, tennis coach, drama director, and yearbook advisor.